A rendering of the planned Taylor Gourmet in Bethesda. 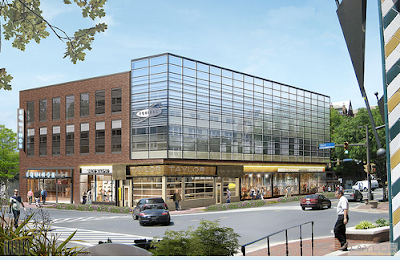 • Taylor Gourmet will open its third deli and sub shop this summer at 7280 Woodmont Ave. in Bethesda. Tim Carman has more details over on Young & Hungry. • Michel Richard (left) finally inked the deal to take over the former Maestro space in the Ritz-Carlton Tysons Corner. 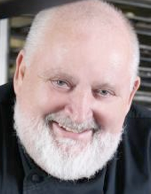 The French chef hopes to open Michel this fall. Richard tells the Post's Tom Sietsema, who broke the news of the final deal, that the new spot will be "a good American restaurant with a small French accent." • Morso Express, the takeout side of Georgetown's forthcoming Morso, opened Friday at 3277 M St. The Mediterranean menu includes mezze, pide flatbreads, salads and kabobs. (Watch chef Ed Witt prepare a lamb and pistachio kabob wrap here.) Morso, the more upscale sit-down side of the operation, should open in the next few weeks. UrbanDaddy has a nice shot of the interior. • Bloomberg caught up with Top Chef alum Spike Mendelsohn (right) who's about to open We, The Pizza in April on Capitol Hill. The NY-style pie he'll be dishing out will have a crust that's “crispy but chewy, yeasty but sweet,” he tells Bloomberg. The new pizza place will be right next door to his Good Stuff Eatery on Pennsylvania Avenue SE.